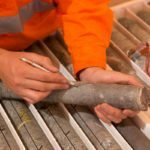 OZ Minerals has completed an earn-in to acquire 51 per cent of the West Musgrave copper-nickel joint venture project in Western Australia. Perth-based Cassini originally acquired the project from previous owner BHP in April 2014 and has been in a JV agreement with OZ Minerals since October 2016. OZ spent $22 million overall to secure the majority share in West Musgrave from Cassini. OZ is currently in a two-stage agreement with Cassini to secure up to 70 per cent of the project — in the pre-feasibility study (PFS) stage — by contributing a minimum of $36 million in development funds, including the development of a definitive feasibility study (DFS). The companies entered into stage one of the agreement in November 2017, with terms that OZ had to spend $15 million on PFS and DFS expenditure, as well as $4 million in exploration costs within the first 18 months of the agreement. 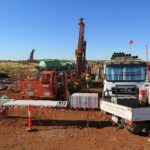 According to OZ Minerals chief executive officer Andrew Cole, the company broke the 51 per cent milestone ahead of schedule. He explained that recent test work had shown significant improvements over a previous scoping study, particularly for copper grades. 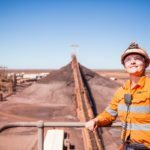 “Our confidence in the project’s potential has increased and supports reaching the 51 per cent earn-in level earlier than originally anticipated,” he said. Cassini Resources CEO Richard Bevan also commented on the development, saying the company looked forward to continuing its “strong relationship” with OZ.